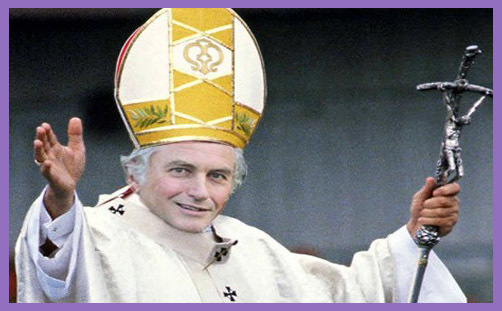 Chris Deerin was a “devout Catholic, altar boy.. (who) wanted to be a priest”. That’s nice. Sadly (or fortunately, whichever side you’re on), he is devout no more. He recounts losing his faith in the Daily Mail (that is, the event/course/discovery of losing his Roman Catholic faith is recounted in the Daily Mail; not that he lost his faith in the Daily Mail [which he may well have done, but probably not while it’s bunging him £500 to write such readable nuggets of entertaining biography]). The welcome given to Pope Francis in the US over the past few days has been inspiring. He is a remarkable Pontiff, in many ways exactly what Catholics need. Humble, generous, thoughtful, hands-on and transparently ordinary, he is the closest the faith has come to finding accommodation with the irreversible liberalism of much of modern life. The two must, after all, find a way to co-exist. By showing a gentler, more tolerant face to the world, the Pope creates space to be heard in areas where his voice is needed. ..Contrast the warmth in this message with the witterings of the famous Professor Richard Dawkins, who has set himself up as a sort of anti-pope, a preening, pompous padre of poppycock. Atheism’s best-known cheerleader is a Pooterish figure whose Twitter account is a treasure trove of small-minded self-obsession and lack of self-awareness. In the end, this is what pushes me back towards religion in ways I admit are probably not entirely logical or even explicable. Of the priests I have known in my lifetime, most have admitted to doubts about their faith. Most have had dark nights of the soul. Some I suspect didn’t really believe any more. But it is this lack of certainty that appeals. Dawkins and his militant ilk profess to know for sure the truth about something that is ultimately unknowable. It seems to me that the concept of consciousness and its source are so unfathomable that only a fool would claim victory, one way or the other. This is why Deerin would “still rather live in Christianity’s flawed world of hope and doubt than one built on the shaky, ghastly dogmatism of Richard Dawkins”. It isn’t only Dawkins’ dogmatism, of course: it’s his logical contradictions, moral discrepancies and arrogant denials of his own finitude. Remember, for example, when David Cameron made his “Christian country” pitch last year in order to dupe recidivist Conservatives back into the Tory fold to make a stand for the plainest historical fact that, as the Archbishop of Canterbury observed, “our main systems of ethics, the way we do law and justice, the values of society, how we decide what is fair, the protection of the poor, and most of the way we look at society… All have been shaped by and founded on Christianity”. There was a kerfuffle when an entire bandwagon of atheists wrote to the Telegraph to accuse the Prime Minister of “fostering division“. Their refutation of his thesis was unequivocal: “Apart from in the narrow constitutional sense that we continue to have an established Church, Britain is not a ‘Christian country’,” they declared. And there was an ensuing and rather amusing subsidiary kerfuffle when, among these 50 signatories, it became apparent that the exalted name of arch-secularist-humanist-atheist Richard Dawkins was nowhere to be seen. His mysterious absence was noted in the august pages of the Guardian, Telegraph, Daily Mail.and right across the Blogosphere. Perhaps he was away on a secular crusade when the epistle circulated, or leading a humanist pilgrimage in honour of the non-god to the denial of which he has dedicated his entire life and vast scholarship. Better late than never, perhaps, but it was all a little odd. Not so much the attention-seeking redaction or desperate retrospective inclusion, but the fact that the eminent Richard Dawkins put his name to a letter which stated unequivocally that “Britain is not a ‘Christian country'”. Indeed, Richard Dawkins seems in this video to agree wholeheartedly with the reasoned sentiments of the Archbishop of Canterbury. But by signing that letter he joined those whom Justin Welby terms the “baffling” Monty Python inquisitors. One wonders how such a great mind and supreme intellect – long dedicated and totally devoted to the puritanical science of unbelief – can simultaneously sustain these two mutually-exclusive propositions. Unless, of course, the latter is simply an article of New Atheist belief which must be held by faith in unresolved tension with the former. Or is the “virus” of religion infecting his mind and sending the world-renowned strident secularist ever so slightly mad? Or perhaps the eminent Professor had a new fundamentalist book to flog and it was all just a marketing ploy? It is a curious fact that the country which was Christian when Richard Dawkins was interviewed on the telly was no longer Christian when he put his name to that absurd letter – “Apart from in the narrow constitutional sense that we continue to have an established Church.” Because the Professor clearly wasn’t talking about such a “narrow constitutional sense”: he specified history, tradition, literature and the enduring cultural importance of the Bible. By negating logic, Richard Dawkins undermined rationality; by holding a truth which is not literally true, he compromised his intellectual credibility. The antagonistic atheist has become a suspiciously nuanced agnostic: profound doubts abound about the precise nature of his unbelief. So perhaps Chris Deerin is being a little harsh about “Dawkins and his militant ilk (who) profess to know for sure the truth about something that is ultimately unknowable”. Perhaps there is a lack of certainty in the Professor’s atheism/agnosticism. Perhaps, after all, Richard Dawkins is really a certain sort of liberal Anglican. Either that, or he is slowly sinking into second childishness and mere oblivion. Mind you, there are some devout Roman Catholics – not to say a few former altar boys and current priests – who are saying that about Pope Francis..